At the Encore, luxury meets, well luxury. This 5-star all-suite resort is one of Las Vegas’ best resorts for anyone looking for luxurious accommodations, exquisite restaurants, and a world-class spa. And of course, there’s a nice military discount. With the Encore Las Vegas military discount, guest can receive a 10% military discount off their room rate. To take advantage of this deal, be sure to show your military ID at check-in. 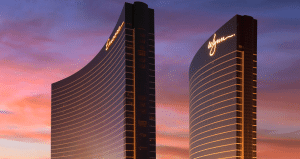 Also, for an even better discount, 15% discount on all room bookings, be sure the sign up for the WynnInsider Program at the below link. Enjoy your stay at this super extravagant resort. You’ll love it! For more Las Vegas resort military discounts, promotions, and special deals similar to the Encore Las Vegas military discount, be sure to check out our awesome listing of over100+ Las Vegas resort and casino military discounts and deals.